Micar 21 Ltd started to provide to our customers discovery of novel active substances for medicinal cosmetics development. News: Micar 21 Ltd started to provide to customers discovery of novel active substances for medicinal cosmetics development. The principle of this development is similar to the drug discovery process described here. However, we also screen databases including natural chemicals extracted from plants. These are substances mainly from traditional Chinese and Indian medicine as well as many chemicals extracted from plants recognized as effective herbs in Africa, Europe and worldwide. 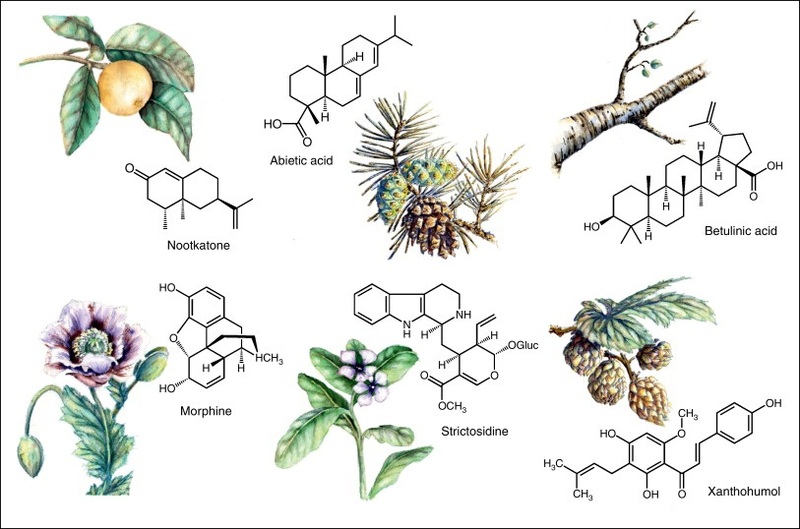 If required, we can and do screen databases that are typical for traditional drug design, but we are also capable of taking into consideration many of our clients’ preference for natural products. One reason for the latter is that, compared to drug development, the procedure applied for the necessary clinical tests and certification is much easier. For instance, within most EU countries this process usually takes only a year. Similarly to drug design, we offer an individual project to each of our clients. It includes an initial collection of data about the recent advances in the study of the field requested. Further, the most promising target protein candidate is selected. As in the drug design, each skin disease or any other disorder and reverses characteristic of a particular age are linked to specific biological processes that in turn are linked to protein-protein interactions, i.e. signaling pathways, and the selection of the target protein is critically important. In other words. any drugs or cosmetic substances to be developed require certain knowledge of the process that should be either stopped or activated. After the target selection, we perform the third stage of the development, which includes screening of thousands of natural compounds to find those which are potentially biologically active to the chosen protein, i.e. which can solve the observed cosmetic problem in the best way. Finally, we submit these compounds for experimental tests and the chemical that is the most active and the least risky is selected as the final product. We offer solely new unique substances, which can be patented, tested and brought into new innovative medicinal cosmetic products. © Micar21 All right reserved.